Effective relief from the symptoms of cystitis, Cymalon Sachets is one of the most popular cystitis remedies in the UK. 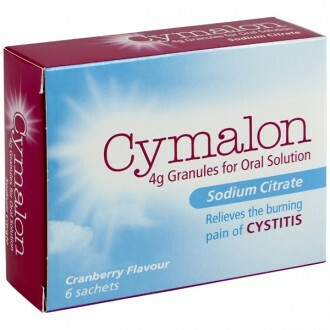 Cymalon sachets contain sodium citrate which helps to neutralise urine acidity during an attack of cystitis, providing welcome relief from the burning pain and irritation. Keep them in the bathroom for easy access when first symptoms show. Dealing with cystitis can be an unpleasant and painful experience. Cymalon sachets offer an effective treatment for cystitis related symptoms, and are one of the most popular remedies in the UK. The sachets contain sodium citrate, which works with your body to neutralise the acidity within your bladder, delivering an effective and welcome relief from discomfort and irritation. Cystitis is a form of urinary tract infection (UTI) and creates an inflammation of the bladder. Cystitis is usually caused by some kind of harmful bacteria, causing you to urinate frequently and painfully. Once the urinary tract becomes infected, harmful bacteria begin to turn your bladder into an acidic environment, helping them to rapidly grow and spread. This makes your urine acidic, causing burning pains when you urinate. Sodium citrate works to decrease the bladder’s acidity, decreasing discomfort and making it harder for the bacteria to reproduce. Cystitis in an infection that mainly affects women – it is thought that almost 50 percent of women will suffer from cystitis at least once during their lifetime. Cystitis usually occurs in women who are: young, sexually active, pregnant, menopausal, or elderly. The body will usually clear itself of the infection after a few days; however treatments such as antibiotics and Cymalon will help to combat the symptoms, making the condition more manageable. An increased desire to urinate. A sensation that you are unable to empty your bladder. General pain across the abdominal area. Cymalon sachets can be used as an effective symptomatic relief from the detrimental effects of cystitis. Sachets should be taken orally with water over a two day period.Cymalon is recommended for use by adults only. Cystitis is painful and Cymalon sachets help by alkalising the urine and soothing the burning sensation when you urinate. They also make the surrounding environment in the bladder less suitable for replicating bacteria. For further relief, consider taking pain killers and drinking cranberry juice. Repeated and continuous attacks of cystitis can be both painful and detrimental to your quality of life. The unpredictable nature of the attacks means that it is important to always have a safe and effective treatment on hand. Antibiotic treatments are available from the Online Doctor service and can be used as a back-up supply, allowing you to treat the condition as and when needed. To treat your cystitis effectively you should dissolve one sachet of Cymalon in a cold glass of water, three times a day. During this treatment it is important to drink as much water as possible, helping to flush the harmful bacteria out of your bladder. 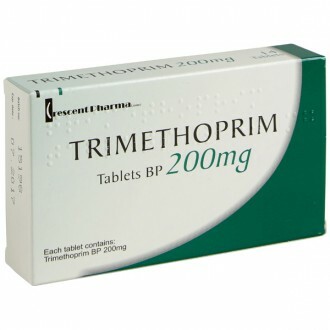 Always read all packaging and product information before taking any medication or treatment. If you have any concerns about any of the information listed above then always speak to your doctor. Always fully read any instructions and warning before using a product, taking the time to make sure it is appropriate for you. An allergy to any of the ingredients listed above. Cymalon sachets should not be used by men or children. If your symptoms persist after four days, or your symptoms keep recurring, speak with your doctor or pharmacist. You should also talk to your doctor if you are currently taking any other medications. Each sachet of Cymalon contains 1047mg of sodium. This is an important consideration for individuals who are controlling their sodium intake. It also contains the chemical sucrose. If you are allergic to any sugars, or suffer from diabetes, speak to your doctor before beginning this medication. Need to know more about Cystitis (UTI)?